Awesome Games Done Quick (AGDQ) is a week long slumber party where some people beat all kinds of video games super fast while thousands more watch. Now in its ninth year, the marathon wrapped up early today after raising a record breaking $2,263,093 for the Prevent Cancer Foundation. Beginning last Sunday with Crash Bandicoot 3 and finishing around 5:00am today with a run of The Legend of Zelda: Breath of the Wild in which Anatomyz completed all of the main quests in just under four hours. In addition to featuring lots of speedruns of different games, including lighting quick Any% attempts and longer ones in which players have to effectively 100% the game in question, there’s an elaborate donation system for spectators to interact with the runs while also raising money for a good cause. The event almost didn’t surpass last year’s total of $2,222,791 but at the last moment AGDQ announced that subscriptions to its Twitch channel during the event would be donated as well, something it hadn’t done in the past. This boosted the total by just over $100,000 and helped it edge out last year’s to set a new record for the event. The sub-only rule for the Twitch chat caused controversy early during the event with those who were able to post in the chat often saying “free the plebs” in a reference to those other spectators unable to contribute. AGDQ originally announced its intention to donate all of revenue from its Twitch channel during the month of January in a statement following this backlash. Donation totals for different people and organizations ran between a few bucks to over a hundred thousands dollars, with lots of people bidding on various things like whether a runner has to defeat bosses in reverse order or seven what to name characters in a game like Secret of Evermore. For example, by raising the $125,000 required to meet one of the bonus game goals, spectators were able to replace one of the marathon’s final setup blocks with a run of the Super Mario World fan mod, Super Dram World 2. Other donation categories are competitive, like one in which the option that raised more money, either saving or killing the Baby Yoshis in Super Dram World 2, would affect what Grandpoobear did while playing through the game. The Breath of the Wild run also raised a ton of money. The audience spent almost $70,000 on choosing the run’s language (English closely followed by German), $147,112 toward the unmet goal of getting Anatomyz to ride a vehicle into the final boss fight, $50,233 to get him to play it on Master Mode, and a whopping $209,055 for naming Link;s horse (Rochefort followed closely by Yobby). 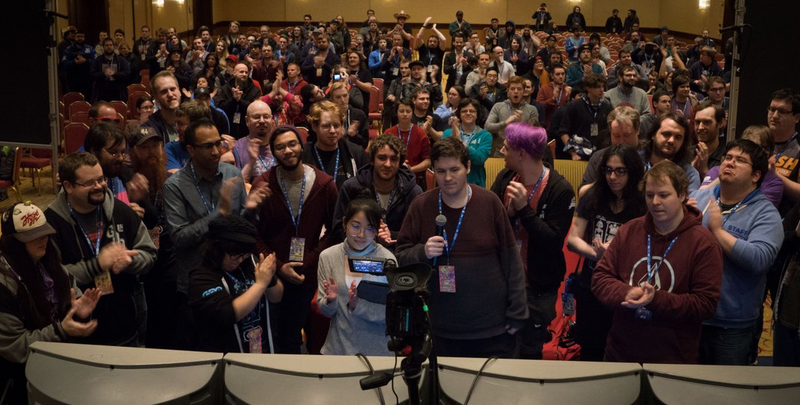 In the aftermath of the run the event’s organizers announced the next marathon, Summer Games Done Quick, will take place between June 24 and July 1. AGDQ has uploaded a bunch of videos of the individual runs to YouTube but you can also check out everything on Twitch by using this handy time-stamped list.